Villagio is a Scottsdale / Phoenix area tile and stone company that homeowners, designers and custom builders look to for the very best in natural stone tile, porcelain tile, decorative tile, amazing tile design ideas and retail and trade/wholesale tile pricing. Villagio Tile is home to a team of tile and stone design specialists who are focused on serving the individual needs of each customer. Villagio is committed to delivering products that exceed expectations in both design and performance. Look to us for ceramic tile, glass tile, travertine tile, porcelain tile, mosaic tile and so much more. We don’t just offer our customers in Arizona tile and stone of the highest order. 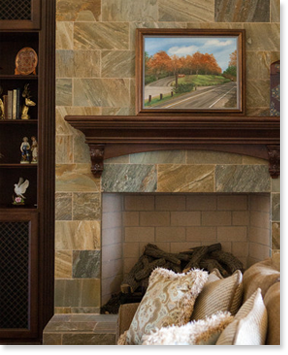 We offer tile, stone and decorative pieces from all over the world from cutting edge manufacturers. Stop by our interactive showroom, and learn more about the many possibilities at your fingertips! You will find a level of collaboration at Villagio Tile that you will absolutely love. This means we will work closely with you, your builder, your contractor and your designer to deliver tile that follows that provides an environment that reflects your taste and personality using the proper form and function. We want you to be thrilled with your final product! You may reach Villagio Tile at (480) 422-6700. We look forward to the opportunity to share our diverse and exciting product line with you. Keep in mind we do have wholesale pricing to the trade. Come by today!